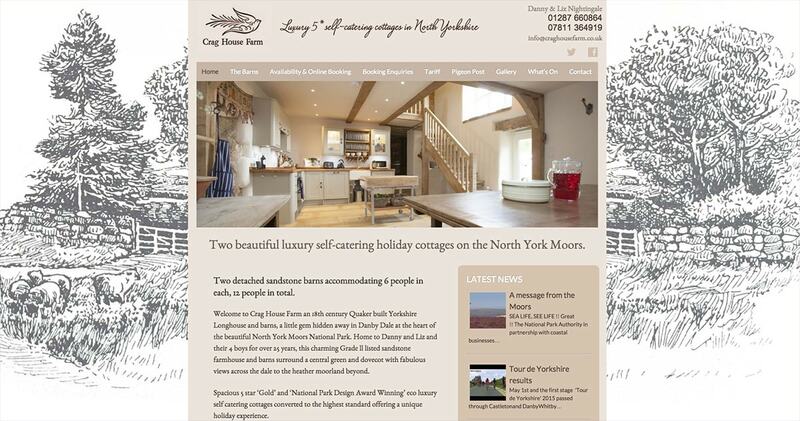 The owners, Danny and Liz, wanted a website that reflected the quality of their stunning, award-winning barn conversions. 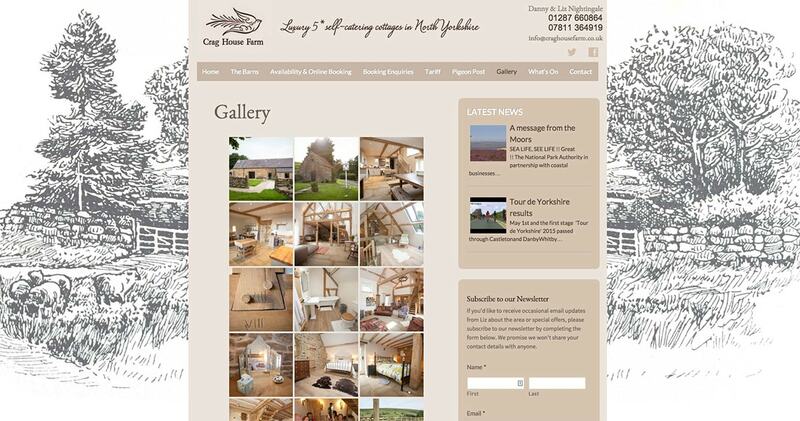 Teaming up with local photographer, Scott Wicking, we have created what we feel is a website worthy of the properties. We also created a new Identity by designing the logo and strapline. Colours were carefully chosen to reflect the right mood. 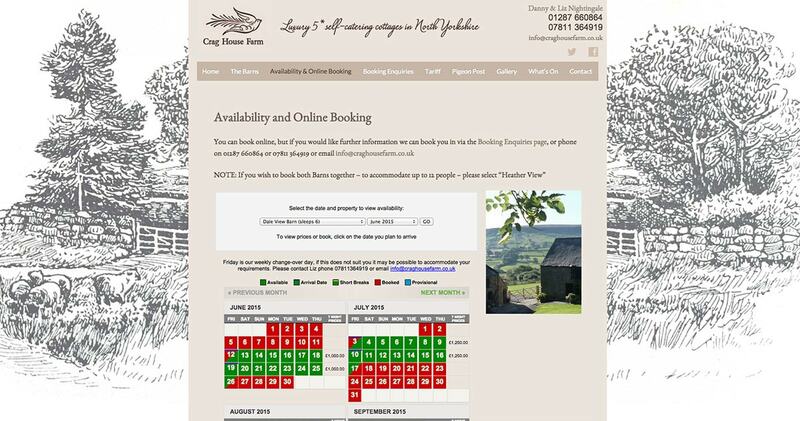 The website has an integrated booking page based on the popular SuperControl booking and management system. 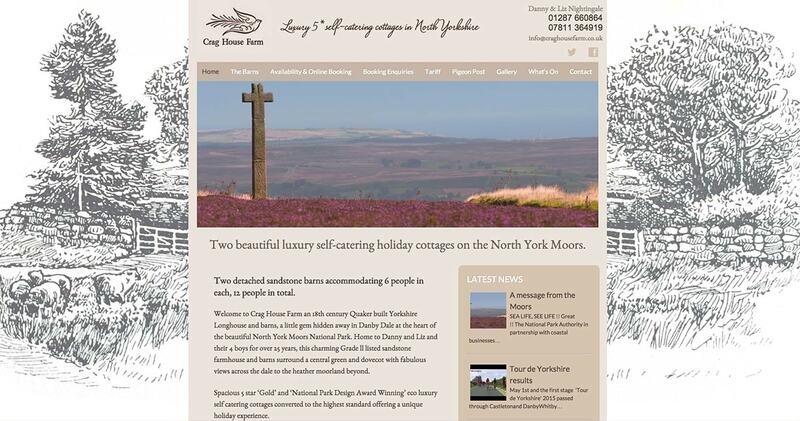 The background for the website was adapted from an illustration from a charming old book about Danby Dale that belongs to Danny and Liz.